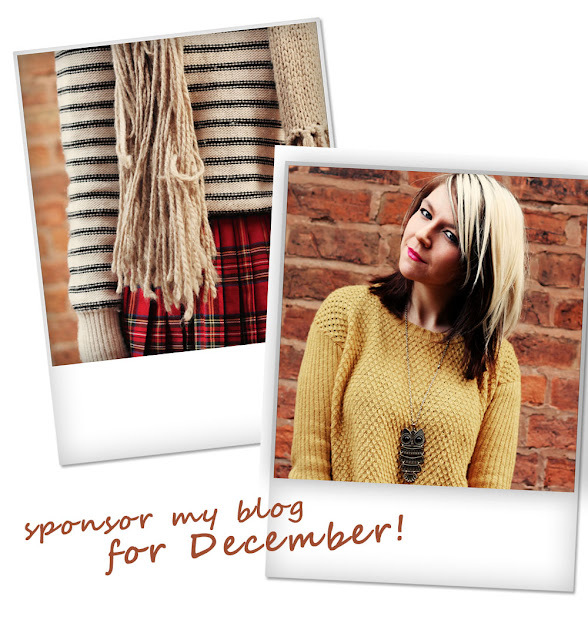 girlnextdoorfashion: running, food, lifestyle, lipstick: Sponsor girl next door fashion for December! Wow, I can't believe it's the end of the year already, and there is no better time to advertise on my blog. With Christmas coming up, your shop could be full of orders from my lovely readers if you advertise with me this month. I offer very cheap advertising rates- in fact, my small ad sizes are cheaper than a latte and a muffin (and much better for your figure!! )- and will offer a sponsor spotlight to show your items off, and am happy to host a giveaway or review an item. If you are at all interested, just drop me an email at girlnextdoorfashion@gmail.com to discuss ads and rates!